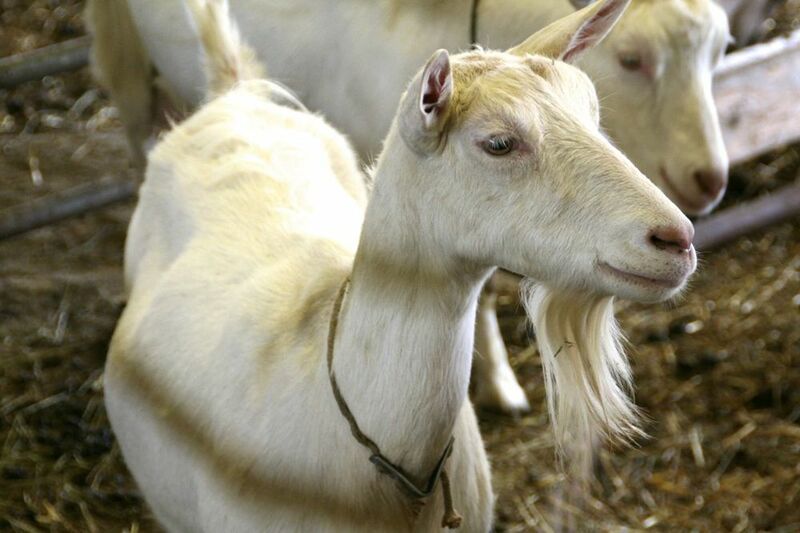 Goat milk is a niche product. It is closer to human milk than cow’s milk, and for this reason, it is often easier for people to digest. 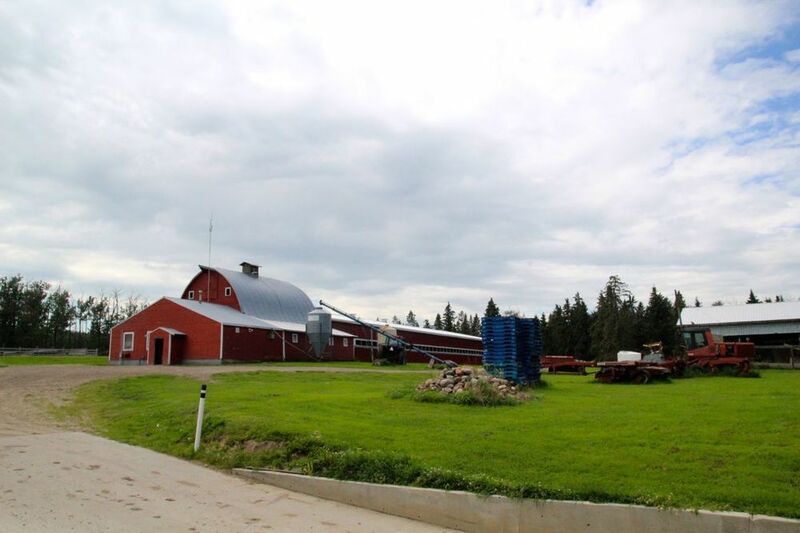 Rock Ridge Dairy is a family run organic dairy farm that primarily produces goat products, but recently expanded to include organic cow products as well. Their operation is quite large, but they have very few staff and work long hours. They are distinct from a lot of other producers we have visited because their main market is to grocery stores, and they sell their product under various other names. We toured through the facilities with Cherylynn Bos, who owns the dairy along with her husband, Patrick Bos. We were able to sample their whole product line, which was fantastic. Both the cow’s and the goat’s milk were sweeter than conventional milks, and the feta and chevre were incredibly creamy. We have consistently been astounded by how much skill it takes to farm sustainably, produce excellent products, and find enough time to sleep, but talking with Patrick and Cherylynn gave us a new appreciation for the challenges involved in getting farm products to market. In order to list one product in one grocery store, it generally costs around $4000 per year. To list the product across Canada can be several tens of thousands more. If a product delivery misses the 15-minute window provided by the grocery store, the producer will be fined $1000. In preparation for these deadlines, Patrick and Cherylynn tag team between sleeping and working so that production can run all night. They emphasized the importance of growing slowly and steadily. It’s important to have a well-managed operation in order to guarantee supply and quality of production. They have about 500 goats, milking about 300-350 of them twice per day, year round. 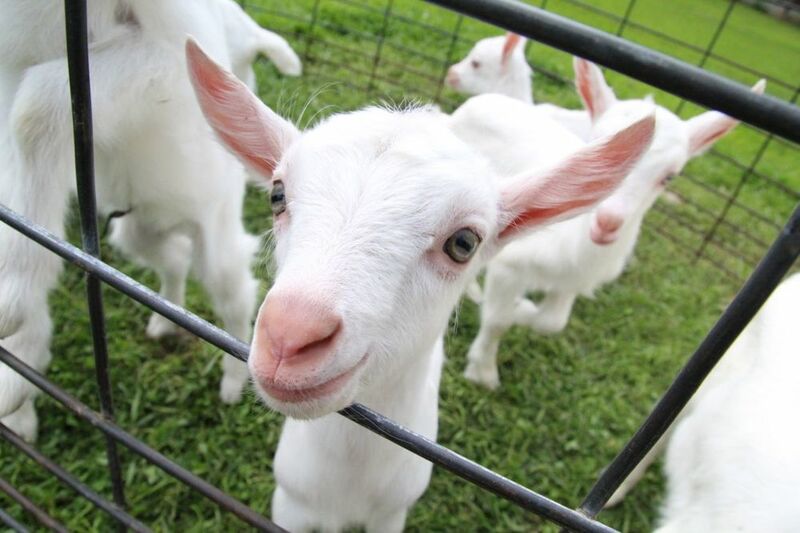 They need to maintain a steady rotation of baby goats in order to ensure a constant milk supply: if their supply is too variable, they risk losing clients to more stable sources. Producers don’t have independent access to everyone who would be interested in selling their product. Hiring a distributor establishes this link, but doing so costs the producer about 20% on all the profits. In the end, the producer may end up making significantly less than the distributor, even though they have done all the labour and carried all the risk. The benefit, of course, is that the product is able to reach a larger audience. Because of these difficulties, producers have to be pretty confident of their product’s ability to sell well. The Bos family is extremely ambitious and hard working. 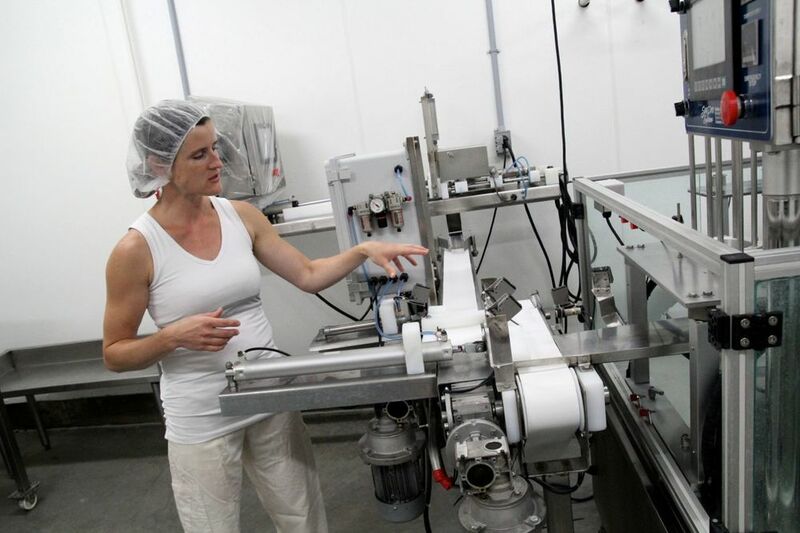 Their product line currently includes organic cow’s and goat’s milk, goat feta, and goat chevre, but they have plans to expand both their cow and goat lines. Albertans can (and should!) purchase their Rock Ridge Dairy products at any of these locations. In Western Canada, they also sell under a number of different names, including Happy Days Dairy and Oak Island or, when they’re sold under a grocery store’s brand, their products can be found by searching for the plant code ‘4210’ on the package. Talking with these two really gave us perspective as to how much producers have to sacrifice in order to deliver their products to consumers. It also illuminated the struggles producers face beyond managing the risks of production. We left with a deepened respect for the many people whose life work it is to provide food for the rest of us.